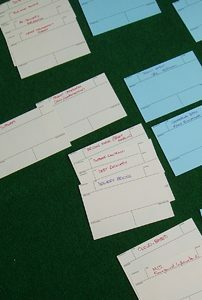 Starting from a blank sheet we coached a German business start-up through the planning phases. This was to be a complex operation – think Amazon for fresh food with an eco-twist! The work involved a lot of creative problem-solving workshops in Berlin, followed up with a series of skype sessions to talk the owner through various aspects of the development. Combining corporate finance, IT development and marketing there were multiple strands and layers to the exercise. We brought our expertise to bear and the client was able to deliver the connections to get the business to launch.